We guarantee that you will get your own deer back! 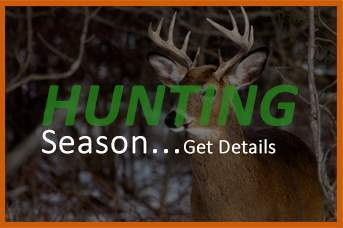 Hunting out of State? Please view our video for an easy way to remove the spine and head to legally transport from State to State. Not just your average wild game service! Here at Quality Deer, we have high-quality standards. 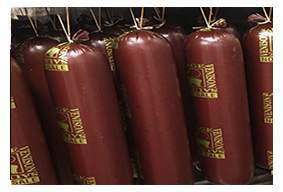 Quality Deer is a service mark of Quality Deer Processing. Once a ma and pa shop, made into the first ever legally operated wild game processing servicing shop. 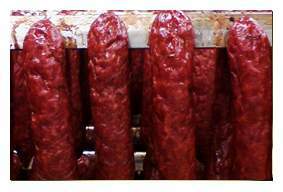 We offer a wide variety of products, see our processing page for details. All legally tagged game and farm raised animals will be accepted. Road kills must have Law Enforcement DNR Permit, and be gutted before we will accept them. PLEASE SIGN OUR GUEST BOOK AND LEAVE ANY COMMENTS OR SUGGESTIONS, TO HELP US IMPROVE OUR CUSTOMER SATISFACTION. THANK YOU. Processing YOUR deer YOUR way! ALL SEASONINGS ARE HOUSE BLENDS. Every order is processed individually, custom wrapped and frozen. Cut Choices include: Tenderloins, Steaks, Chops, Boneless Chops, Butterfly Chops, Back Straps, Roast & Ground. All special requests welcomed, may be an additional cost depending on the order. 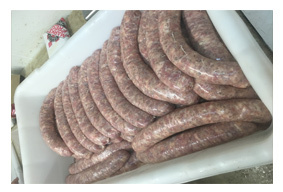 Quality Deer offers a variety of Smoked Products, Fresh Sausages and Gourmet items, see our Processing information page for details! Why eat the same bland deer for the next 6 months? 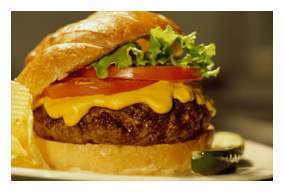 When you could be eating “Gourmet”, that’s right, check out our new line of gourmet sausages and burgers! Fellow deer processors, don’t risk getting shut down. We are now looking for new operations to join Quality Deer Processing LLC. Call our staff at 734-847-8447 to find out how today.